Are you looking for a complete course in Catalan which takes you effortlessly from beginner to confident speaker? 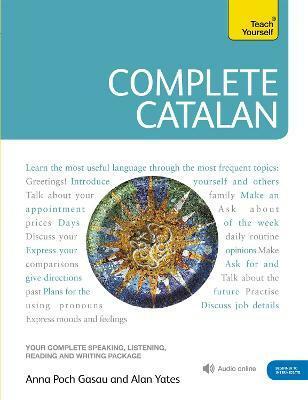 Whether you are starting from scratch, or are just out of practice, Complete Catalan will guarantee success! Now fully updated to make your language learning experience fun and interactive. You can still rely on the benefits of a top language teacher and our years of teaching experience, but now with added learning features. Tests in the book to keep track of your progress. The audio for this course is available for free on library.teachyourself.com or from the Teach Yourself Library app. Anna Poch Gasau is a native speaker and an experienced teacher of Catalan to adults. She has been teaching at universities and schools in France and England since 1996. Alan Yates is former Professor of Catalan Studies at the University of Sheffield and has recently received a prize for his services to the teaching of Catalan.